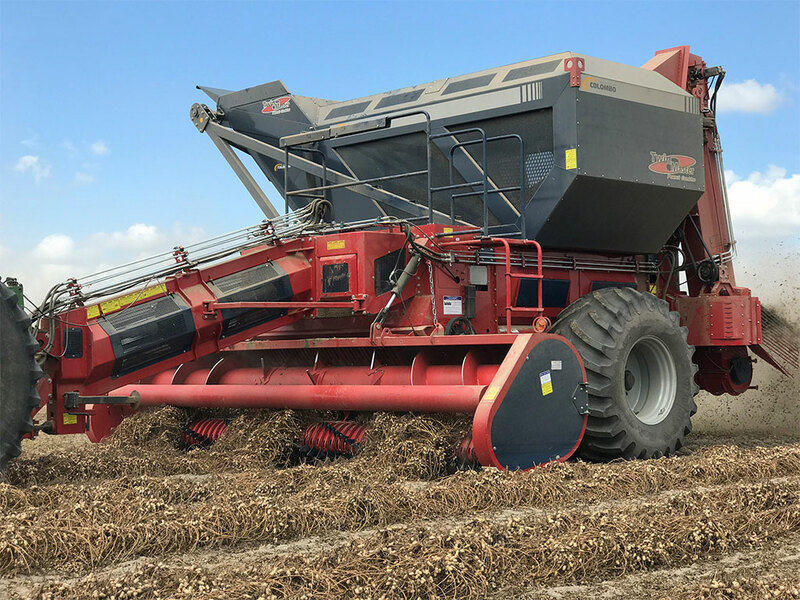 With the Colombo’s 6-Row Twin Master Peanut Combine, your peanut crop receives special treatment from beginning to end with the exclusive Colombo rotary design. 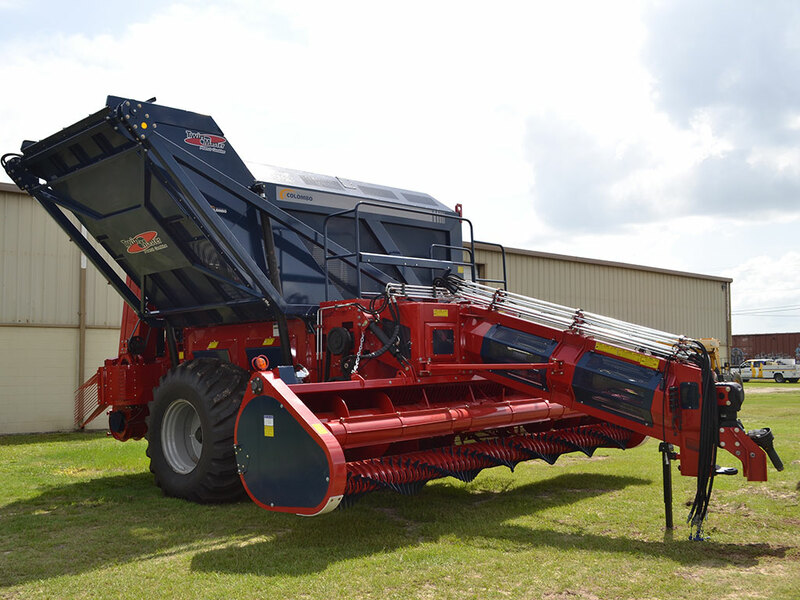 Colombo has over 40 years of experience building peanut combines with axial flow technology. Ultra strong notched and welded steel construction throughout the machine. 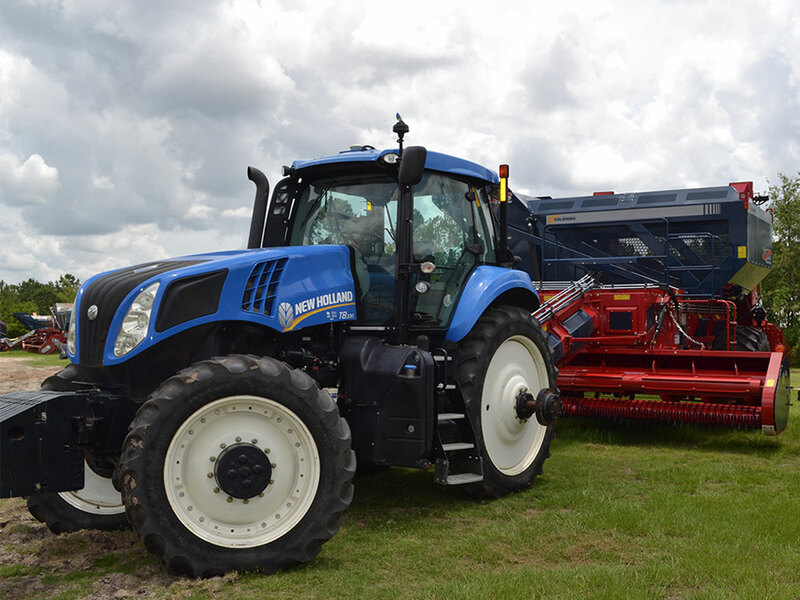 Over running drive-line clutch reduces wear on drives and the tractor. Large high flotation tractor style tires. Simple servicing and easy accessibility. Large basket storage capacity for less stops to unload. 1- The low profile pickup head and dual feed auger assures a smooth flow into the rotor. 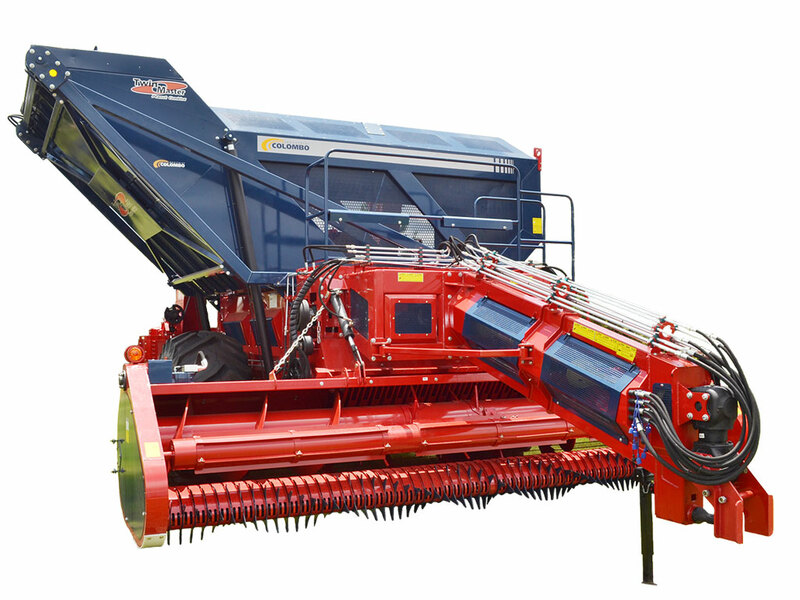 The head is driven by hydraulic variable speed with reversing. 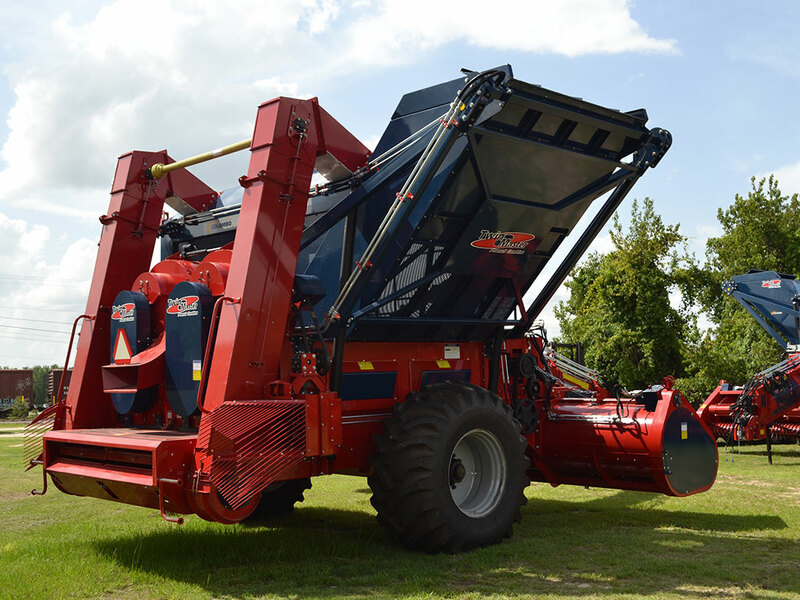 The pickup fingers are made of long-life AR 360 plate steel and the top roller gently turns with the fingers to ease heavy vines into the auger and prevent kick-outs and rolling. 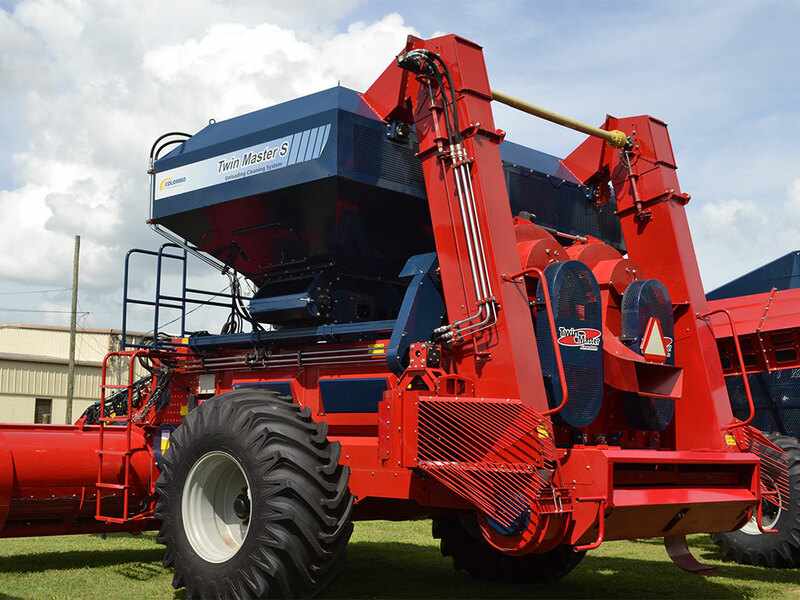 2- Rotary threshing has been proven to be the best method of crop harvesting. 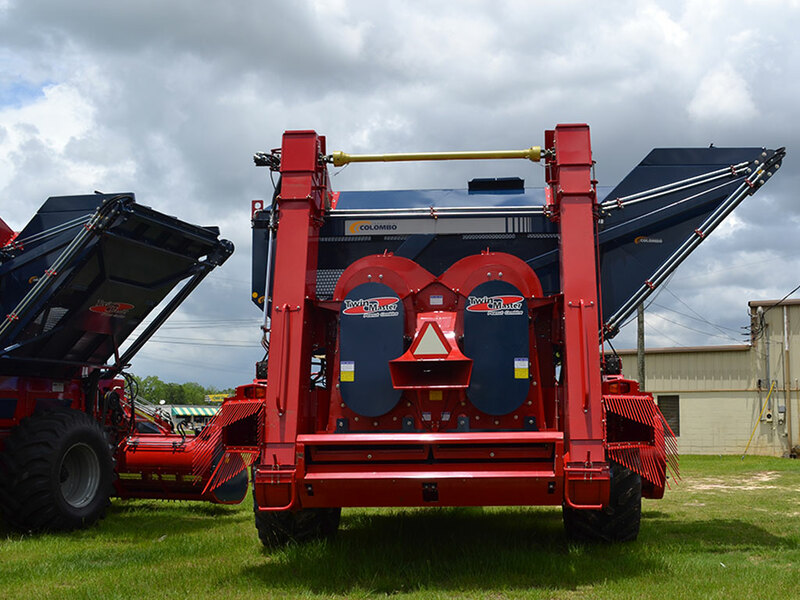 Rotary combines are not as aggressive as conventional cylinder machines. 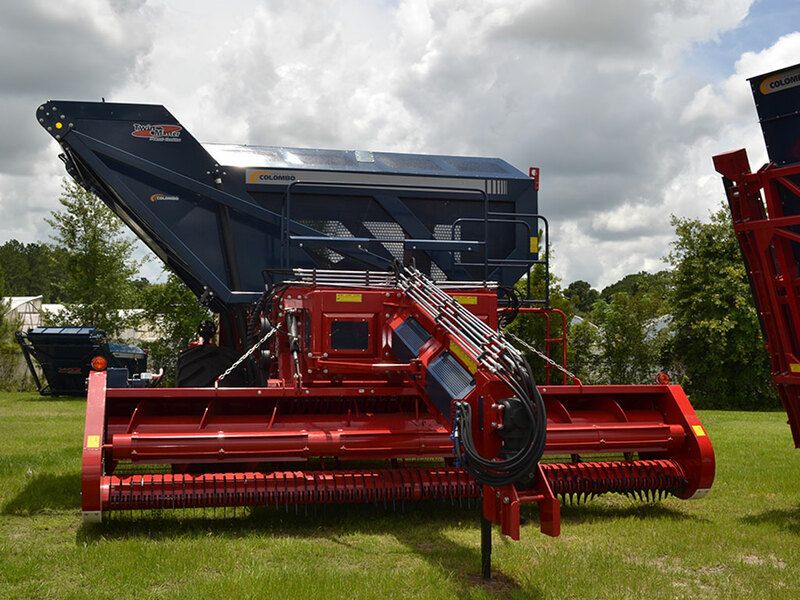 The Colombo System uses the rotor’s centrifugal force to pull the peanuts off of the vines and onto the shaker pan rather than the shredding action of combines with spring teeth. 3- In the exclusive Colombo cleaning system the peanuts are never blown or floated by air. Instead dual high volume vacuum fans gently lift the trash from the top of the heavier peanuts as they reach the rear of the shaker pan. 4- The peanuts are gently transported up to the basket in the exclusive Colombo style elevator that uses cups to scoop up the peanuts, take them to the top and then drop them in the bin. 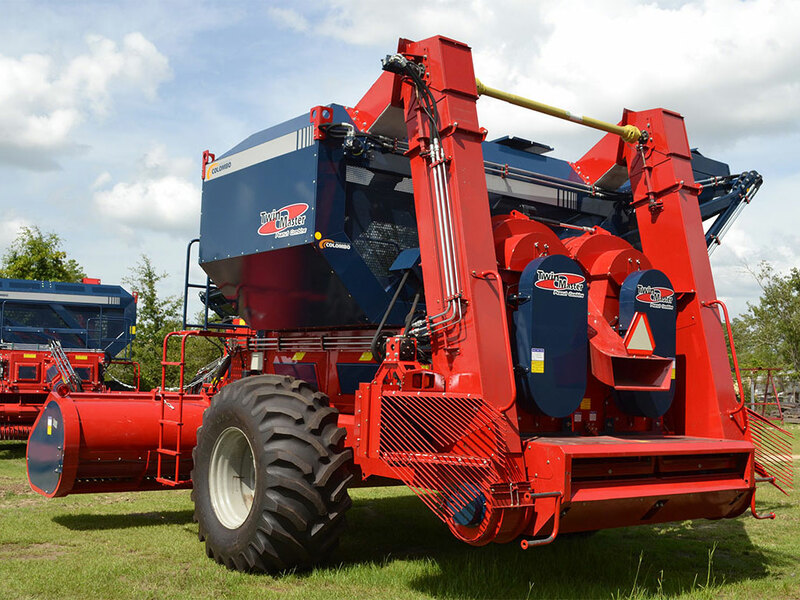 A hydraulic auger then levels the peanuts in the basket increasing the storage capacity. 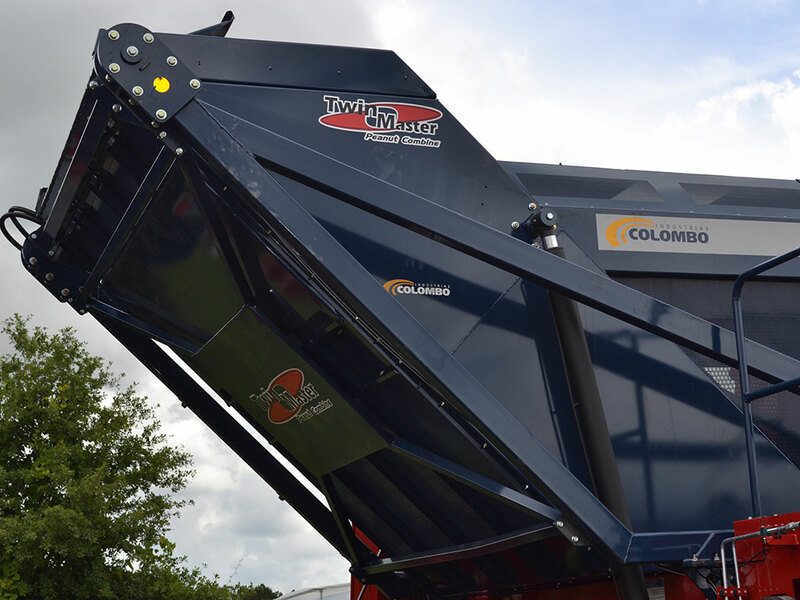 Colombo’s bucket elevator system eliminates many areas where LSK’s are increased in conventional combines that use elevator fans and air ducts to deliver the peanuts in the basket. Contact Your Local Colombo North America Dealer Today! Largest basket storage capacity in the industry means less stops to unload. 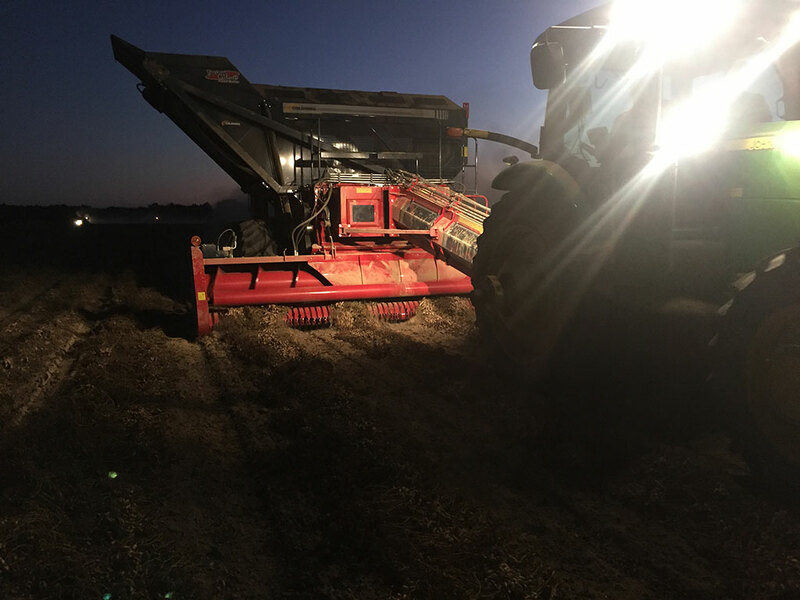 Peanuts with the stems still attached cannot “S Hook” and ride out with the hay. Sand, small rocks and heavier trash can more easily sift out the bottom grates in the shaker pan. There is no belly fan or air ducts underneath the combine. Reduced damage to the peanuts. Better separation of peanuts from vine particularly in more moist conditions and when the stem remains on the peanut. More hours of picking during critical times. Start picking early and stay late. 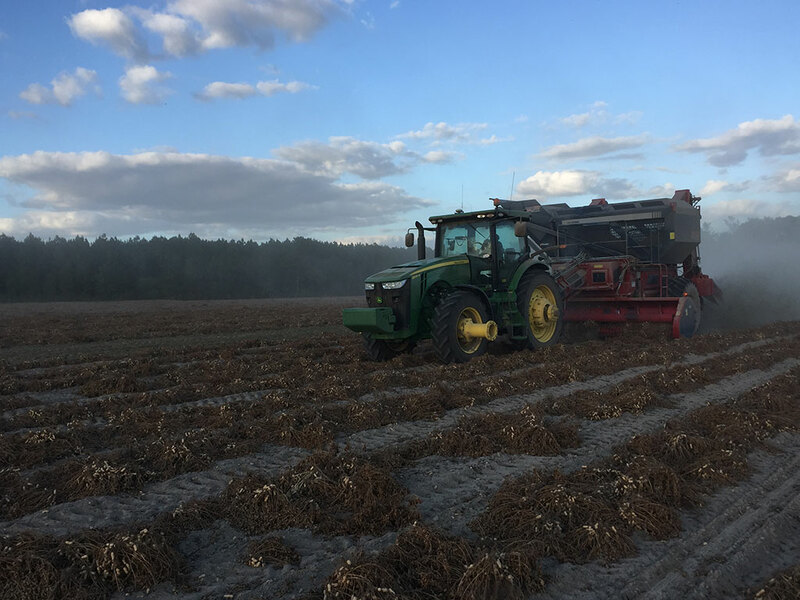 GA Farm Monitor and Georgia Peanut Commission feature piece on Colombo North America and the Twin Master Combine. Please pray for our local area in Adel, Georgia and other areas hit by the latest storms. We have volunteered to help in whatever way we can.